PlayStation 3 Metal Gear fans are primed and ready to dive back into the Classic Snake "Deja Vu" missions that will come packed with their version of Metal Gear Solid V: Ground Zeroes. How about the Xbox fans? Will they have console exclusive content as well? Yes, Hideo Kojma has announced brand new content for the Xbox 360 build of Metal Gear Solid V: Ground Zeroes, but it might come off as a bit more controversial due to the reception of its hero. 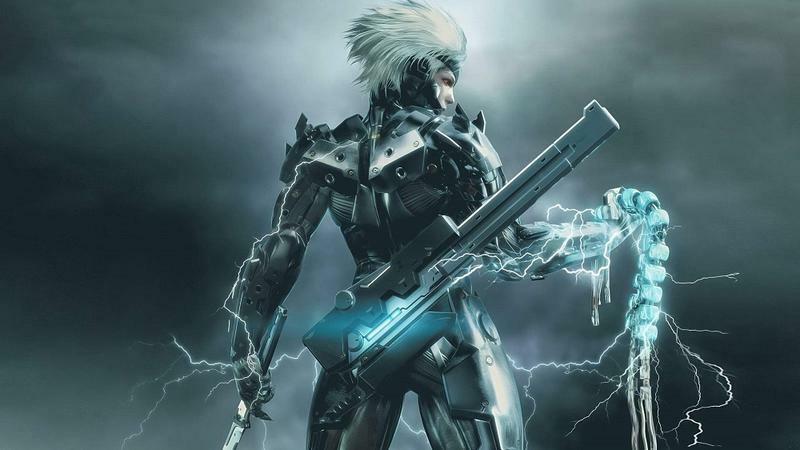 Metal Gear Solid 2's goldilocks hero Raiden will be the star of these new Xbox missions. The character has enjoyed a "mixed-at-best" reception ever since Hideo Kojima silently slipped him into the role of protagonist in the series' second entry, and even rebuilding him as a cyborg ninja has only helped in small increments. He's still nowhere as cool as Snake in his prime, but maybe this will finally be the game where Kojima convinces his entire fanbase to jump on board. Can't argue against the variety in gameplay he will be bringing too the table, though. It looks like a lot of fun. Further comments expanded to using Keifer Sutherland as the voice of Snake in the upcoming game, claiming that the 24 actor had the "depth" that fan-favorite David Hayter didn't, and it was necessary for him to portray the character in this technological world of motion capture. "It's no longer just about the words that a character speaks, it's about the depth of their facial performance and the expressive tone of their voice. As technology evolves, it's vital that the expressiveness of the characters in the game evolve to match the capabilities of the hardware. Kiefer is helping us to raise the bar in that respect, and I'm looking forward to the final result." I'm always ready for the next Metal Gear Solid game to be released, and both versions of Metal Gear Solid V are no different. Not only can I not wait to play them, but I also don't have to listen to Kojima's self-important explanations of every decision he makes in his games. Metal Gear Solid V: Ground Zeroes will be released for the PlayStation 3, PlayStation 4, Xbox 360 and Xbox One on March 18, 2014.